The Family ROI Experience: A Step-by-Step Guide to Realizing Your Best Family has been named the winner in the 2011 USA Best Books Award competition, Parenting category! USA Book News is an online publication providing coverage for books from mainstream and independent publishers to the world online community. 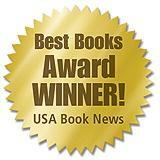 Read more at the USA Book News website.